Hail to those who are now in the great white garage in the sky... may they rust in pieces. 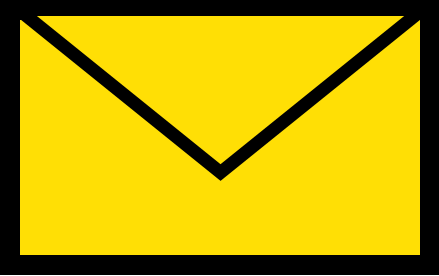 81-PL-01, 1987-1989 (cost: 110 euros). The very first one, a 1977 TL, shown in Andalucia, Spain. Bought by my brother, driven to Algeria and Morocco by me and 3 friends. Died of engine failure. Although it has safari striping I wasn't one for sure. The license got us into some small trouble at the border in Gibraltar, where the customs, being asked why they chose us to unpack, wittily replied 'It's because of the PLO on your license plate'. 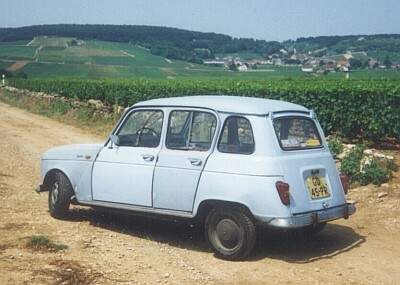 GR-45-PR, 1989-1992 (230 euros). 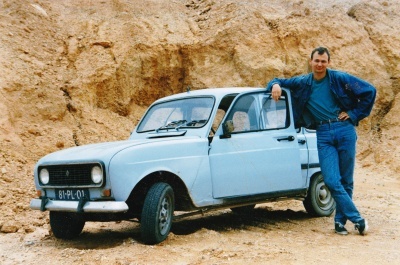 Successor to the first one, this 1980 L, and equipped with a GTL-engine. 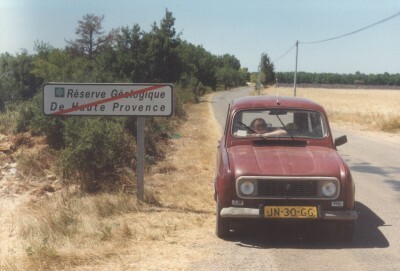 Pictured in southern France. Done away with because of rear suspension breakdown. Originally tomato red but painted light blue in honor of the 81-PL-01. KZ-21-HR, 1994-1999. 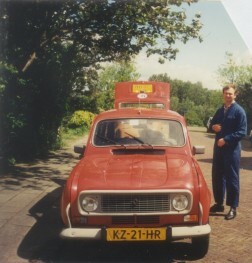 The one preceding my current R1125, a tomato red 1984 GTL, shown in front of my parents house with its owner in better times. A good car but it began to suffer all of the well known problems an R4 has when it is out on the streets on its own. Sold in 1999, it has now disappeared from the register so probably a goner too.